I have loved theatre for as long as I can remember. ​I've been singing since I could talk, dancing since the age of 7, and made my musical debut at age 13. By high school I started choreographing, and in college I began diving into the many other backstage elements as well. Returning to Colorado with a BA in Theatrical Choreography, I have been a working member of the Denver theatre community since 2008 - both on stage and behind it. In addition to choreographing, I have worked as an Assistant Director, Stage Manager, Assistant Stage Manager, and Makeup Designer. Organizations I have worked or performed with include: Performance Now, Town Hall Arts Center, Magic Moments, Inc., Ovation West (formerly The Evergreen Chorale), PHAMALY, Academy of Theatre Arts, Littleton Public Schools, and Starkey Theatrix. Please see highlights below. ​ I look forward to working with you, to bring great live theatre to audiences across the Denver-Metro area! I have been choreographing with this group since 2009, and have been the Head Choreographer since 2011. A non-profit theatre company that brings actors of all ages, abilities, and walks of life together in one space; a show that consists of a cast of 200, 45-60 songs, and an original storyline each year; an experience that challenges, surprises, and blows me away each and every time. As one of the resident choreographers in the district, I have worked at all four middle schools and Arapahoe High School. I have created "choral-ography" for multiple choir concerts, including the 2014 District Choir Festival, and have choreographed for 15+ shows throughout the district, including the AHS production of Fiddler on the Roof which was the winner of the 2014 Bobby G Award for Best Ensemble. One of my newer endeavors, I have been choreographing summer shows with this mountain-community theatre since 2014. 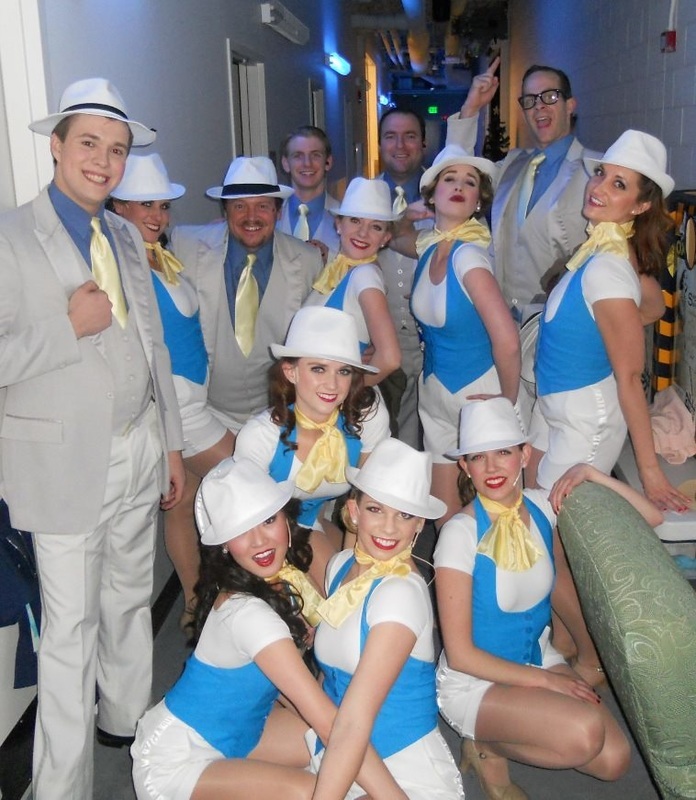 In 2015 I was given the opportunity to work on a Bucket List show - Chicago - and most recently we completed Funny Girl. Both are highlights of my career so far. I also had the privilege of choreographing the Rocky Mountain Regional Premiere of Hunchback of Notre Dame with the company.